We believe that a broad and rigorous curriculum incorporating basic skills with higher order thinking prepares students to be productive citizens in the 21st century. Our amazing teaching staff incorporates real world experiences for students to connect their learning to life outside of school. Grade level teams regularly discuss student progress on formal and informal assessments to ensure that every student is challenged every day. Learning does not stop when the dismissal bell rings, rather it is extended through meaningful after-school enrichment and extension activities and homework that allows for practice and reinforcement of skills that students have learned. Woven throughout the academic program is a school community based on caring and mutual responsibility, promoting the development of self-discipline, kindness and intellectual curiosity. Melinda graduated from the University of North Carolina at Chapel Hill with a Master of School Administration in May 2015. Prior to that, she obtained a Bachelor of Arts in Elementary Education and a minor in Spanish from the University of North Carolina at Chapel Hill. Melinda has worked as a teacher at multiple grade levels and is committed to working with a diverse population of students and families. She worked at dual language schools in North Carolina, Virginia, and the Dominican Republic. Melinda has specific expertise in reading and writing workshop. She has successfully guided the implementation of the Units of Study in Reading and Writing by Lucy Calkins. 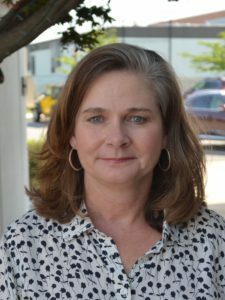 Melinda has credentials in Administration (K-12), Teaching (K-6), and ESOL (K-12) in both Virginia and North Carolina. As a school leader, Melinda believes in building positive relationships with students, families, and staff, and creating a culturally responsive, equitable, and inclusive learning environment. Melinda is earnest and smart and is committed to fostering a joy of learning in her school community.